Has 254 recipes, 2 public recipes. Has 508 flavors in inventory. Darklyspectr supports All The Flavors. Upgrade yourself. So this is my entry for the competition. I honestly didn't know what to do with the Strawberry ripe so I messed around with some strawberry flavors and cake. In the end after over 10 variations I decided on this one. 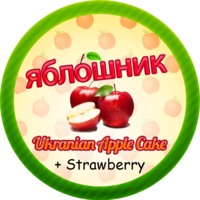 My wife told me that it tasted alot like her yabluchnyk(ukrainian apple cake) with strawberries/Jam ontop so I went with that name. CAP CDS,TFA Straw ripe and FA fuji were used because I had to. I tried to keep the cinnamon relatively low because I didn't want it to be a explosion of cinnamon and drown out the rest. Fuji is just enough to give the yellow cake a apple flavor without it just turning into some weird apple mash cake. Strawberry ripe + Red touch: I used quite several combinations of strawberries to work. I can't taste strawberries so I had to use my wife for testing purposes and to her this combination worked the best as an apple jam when combined with the rest. Yellow cake: It's the best base for a cake. It's pretty much a no brainer. Toasted marshmallow: This was something that I put in on a random thought. I was planning to use something like meringue but toasted marshmallow in my opinion doesn't get enough love. For me it raised the sweetness up a notch and blended the cake/cinnamon well with the toasted part making the cake seem abit more "baked". Sweetener: Cake is sweet. strawberries are sweet. I just wanted to brighten everything up and just give a sweeter impression without overblowing and destroying coils. This was a incredibly difficult challenge with the basket ingredients. Especially with my complete lack of strawberry flavor. it's abit typical and "safe" to do a bakery cake flavor but I think that IF I go through that I could do alot better. If there is no strawberry. I enjoy the vape even without the strawberries and I hope you guys enjoy it too. I mixed it at 70VG and 3MG and found it great after about a week. I got the idea from one of Wayne's live mixing streams while he was talking about how he wanted to make a black currant lemonade one days. So I shamelessly stole the idea. hah. I never made anything from scratch and simply mixed other people's recipes so this was a pretty fun experience. The idea was to get a sweet black currant lemonade with the lemonade being abit more dominant instead of just black currant in the face. Flavourart Black currant: I used this because out of the few black currant flavorings I tried this was simply the best. FA just make some of the best authentic fruits out there and black currant is no exception. Using this was a no brainer. 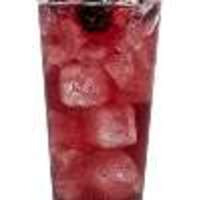 Billberry is there to just enforce the black currant after the recommendations from the mixers collective. it just worked really well. Flavourart oba oba: This is a flavoring that randomly got added but somehow worked. Darren cole's timebomb recipe used it and he mentioned it giving a citrus flavor and I put it in the lemonade to test it and it really worked. For some reason. Lorann Lemonade: another no brainer. LA lemonade is just a delicious basic lemonade. I added CAP lemon lime to boost the lemonade. INW cactus: I used this simply for it's "wet" feeling. TFA sweetener: Lemonade needs to be sweet. I have no idea how to do any of this so I apologise if this is abit rough and amateur looking. I have vaped about 60ml and I really enjoy it. it's a nice black currant with a strong lemonade kick to it. I hope people mix this up and give me their opinion so that I can grow and learn. Great recipe Daz. It needs a couple of days for me to have the peach chill out on the throat hit but it is definitely a great fruity vape. definitely one of my favorites. I have never tried the original juice this was based on. But this is a delicious fantaish recipe. tastes like a fanta ice pop. WS2-3 has become my favorite cooling ingredient because of this. A+ recipe. must try. the damn brit does it again.